It goes without saying that Los Angeles can feel like a world away from New York. And yes, some of the stereotypes are true—it’s a place where we’ve heard of people consulting their astrologers before they do lawyers, where lunch meetings can consist of chatting over respective cleanses. And while Delilah Belle and Amelia Gray Hamlin are part of a new Hollywood tradition, and part of an increasing number of celebrity offspring forging paths in the modeling world, they’re hardly just another set of bold-faced names—these girls know how to work. They showed up early to set, swapped Lake Muskoka stories with the crew between takes, and soldiered through a full shoot day in towering heels without so much as a peep. Not that we’re surprised. The Hamlin girls each have their eyes on the prize—the “prize” being securing their rightful spots among the next generation of social media supermodels—making their versatile, albeit consistently cool and sleek style a pitch-perfect match for Stuart Weitzman’s fall collection. Whether it was a feminine pair of neutral pumps, daring thigh-highs, or rugged ankle boots, they made each style feel distinctly their own (not that it stopped any of us from adding each piece to our list of fall must-haves). Between whirlwind trips for upcoming gigs, we got the girls to answer a few q’s about their style cues (get it?) via text message to get better acquainted. A suede pair of neutral heels are a classic closet staple for a reason. Amelia shows how to expertly employ them to dress up a bodysuit and a pair of classic cutoff blue jeans, while Delilah works them as a neutral alongside a sparkly two-piece suit set and statement earrings. Coveteur: A day in your shoes: What does it look like? Amelia: I usually like to stick to a sneaker as long as I can, but usually that doesn’t last long, so either a good chunky boot or a strappy heel. Delilah: I wear up to 3 different shoes a day, haha. I wear slides in the morning, then switch to sneakers, then for the night I usually wear a heeled boot. Coveteur: You’re California girls—what do you need for a day at the beach? Amelia: Towel, umbrella, sunscreen, and SNACKS!! Delilah: Bali Body tanning oil, bikini, hat, headphones, and a book. Coveteur: Favorite song right now? Amelia: “Get You” by Daniel Caesar. Delilah: “This World” by Selah Sue. Coveteur: Favorite pair of Stuart Weitzman shoes from our shoot? Delilah: I liked the over-the-knee suede grey boots. I’d wear them with a big baggy black shirt or dress to make the outfit grungier. 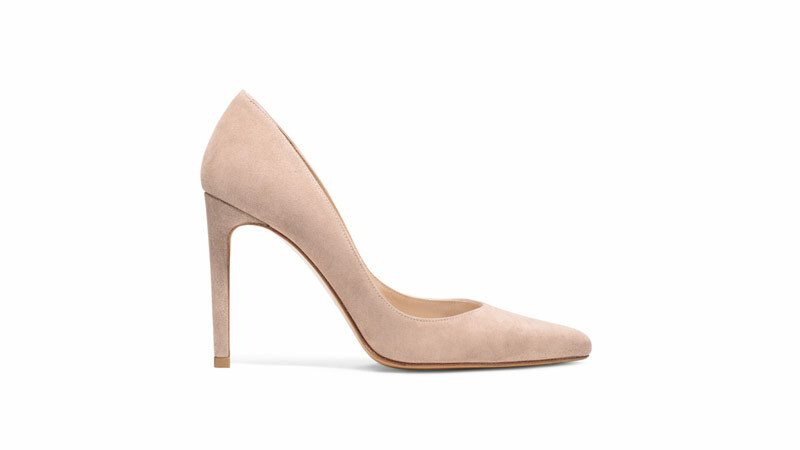 Amelia: The neutral pump. It goes with everything but can add a little accent to a casual outfit. Turns out the trick to dressing up a white tee and pulling off a corset are one and the same: Pair them together, then finish off with a pair of combat-cool trousers with lace-up details. A heeled pair of Stuart Weitzman Clinger booties in black are equally as versatile. The subdued slate grey hue adds a refined feel to thigh-high suede lace-up boots—making them all the better to pair with a patent miniskirt, oversized jacket, and a tiny, strappy crop top. 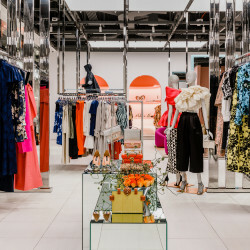 Coveteur: Favorite hidden gem in the city? Delilah: Mulholland. I love driving along it as the sun sets. It’s so beautiful and special. 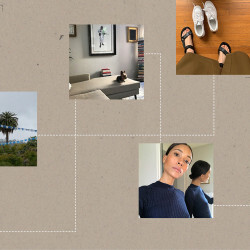 Coveteur: When you’re away from L.A., what do you miss most? Delilah: The restaurants, Malibu beaches, and being able to hike in the mountains. Amelia: Sleeping in my own bed, and playing with my dog! Coveteur: Go-to shoe style. Go! 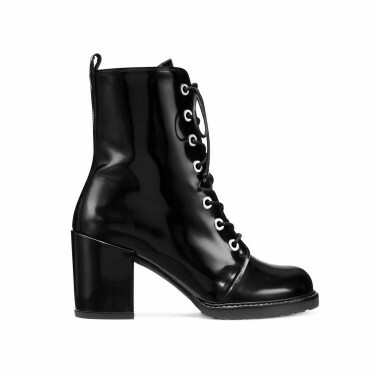 Amelia: I think big boots, like the chunky black SW boot, are so dope. I love a good shoe you can dress up or down. Delilah: I love boots, and sneakers with platforms. Also love a good stiletto! The perfect contrast to a gritty pair of combat boots? An oversized, menswear-style blazer for a hint of polish, and a pair of pleated shorts to show a little leg. Let velvet ankle boots be your closet’s MVP this fall. Wear them with everything from slinky separates, as Amelia does here, to a simple jeans-and-tee for a hint of sleek texture. Amelia: The Nice Guy! The food is so good. Delilah: The Nice Guy and Delilah, because they embrace the L.A. culture, have amazing food options, and are very social places. Coveteur: Something people don’t know about you. Go on. Delilah: That I’m super interested in criminal psychology and plan on studying that in college. Coveteur: Amelia, what does your sister do to chill out? 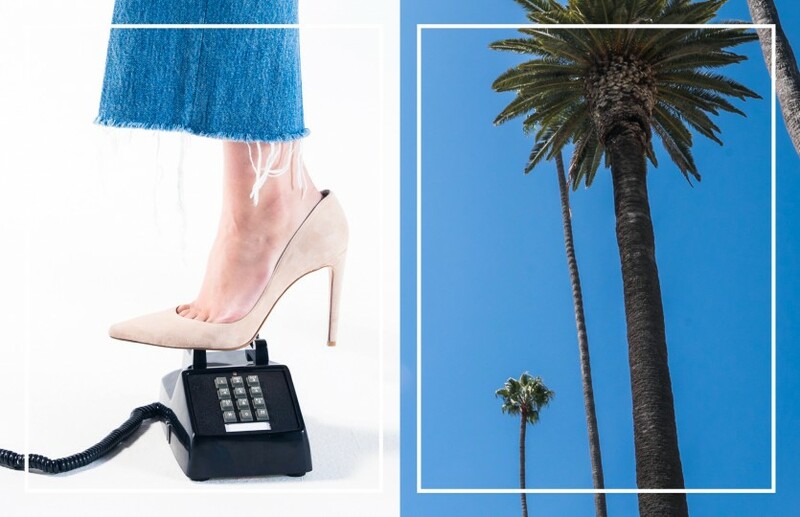 Coveteur: How do you dress in L.A. versus other cities? Amelia: In L.A., I try my best to stay cozy in hoodies and pajamas, but in other cities I focus less on comfort, and more on trends. Delilah: I usually dress more casual in L.A. I’ll wear sweats and heels out to a dinner. But I definitely take more risks with my style in L.A. than other cities.